I have no plan to quit APC like Atiku – Bindow – Royal Times of Nigeria. 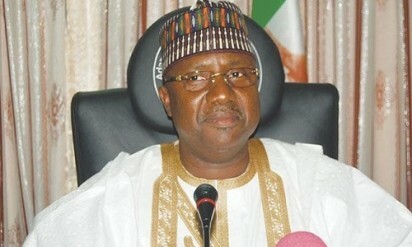 Adamawa state governor, Jubrilla Bindow as said he has no plan to join former Vice President Atiku Abubakar in quitting the All Progressives Congress. Bindow said this on Tuesday while addressing journalists after meeting behind closed doors with President Muhammadu Buhari. This is coming admist speculations that Bindow who is the governor of Atiku’s state may also dump the party. He said Atiku’s defection could not affect the electoral fortune of the party in the state, adding that Atiku is mature enough to take any political decision.